Please Join Representative David McSweeney for a Saturday Night Out on Wool Street in Barrington next Saturday October 26th 2013. $35/person or $50/couple - Complimentary light appetizers and beverages (beer, wine, and soda) will be served. Cash bar available. 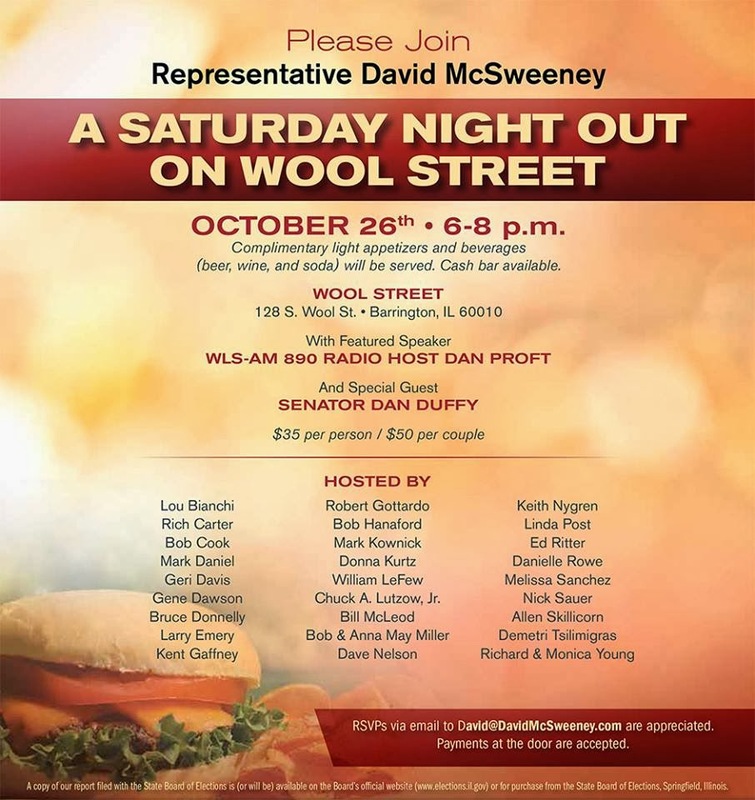 RSVPs via email to David@DavidMcSweeney.com are appreciated. Payments at the door are accepted.